We are always looking for volunteers to help in the cafeteria during lunch rotations. A special request is for the Kinder-2nd classes! Please visit the signup.com link to learn more. The 2018-2019 Greenback Donation Goal is $5,000. Be a leader in your child’s education by donating today! Tigers are earning their stripes one habit at a time while PTA is funding our programs one greenback at a time. ​ With the officers in place, that means many committee chair spots need to be filled to keep our PTA as productive and effective as it has been. 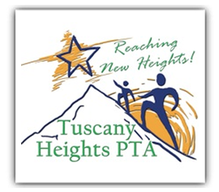 Email President@tuscanyheightspta.org to find out how you can get involved! Start every Amazon shopping session from this link and THE PTA earns referral fees of 4%-15% from purchases you normally make from Amazon! Simply click on the logo or on ﻿this link ﻿to get started! 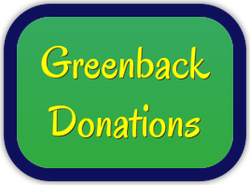 Greenbacks are tax-deductible donations to the Tuscany Heights PTA. 100% of your Greenback donation will fund many beneficial and educational T.H.E. PTA programs planned for your children during the school year. Click here for a list of PTA events supported by your Greenback donation. Donations may be made with cash, credit card, PayPal or check payable to Tuscany Heights Elementary PTA.